With thebeginning of 2018, the human rights situation in Bahrain continued todeteriorate. 995 serious human rights violations were observed between January 1and January 31, 2018, including arbitrary arrests, house raids, unfair trials,suppression of peaceful protests, restrictions on freedom of movement,prohibition of Friday prayers, media materials that incite hate speech,enforced disappearance, torture and ill-treatment. 121 cases of arbitrary arrest, including 6 children, were recorded,climaxing on January 23, 2018 and amounting to 44 unlawful arrests and 138 raids on houses and residential establishments that werecarried out without arrest warrants, and in a manner that spreads terror amongcitizens. 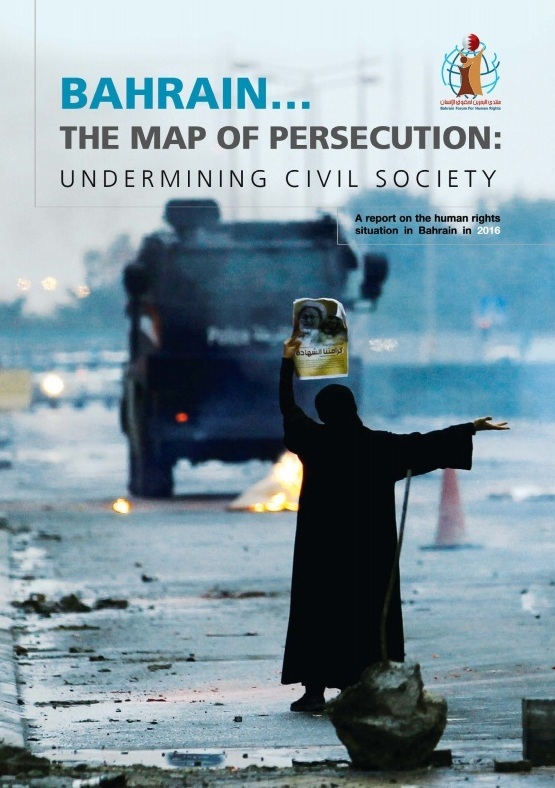 In addition, the freedom of movement was violated through the continuationof the security siege on Duraz for 589 days and the imposition of house arreston the highest religious authority for the Shiite Muslims in Bahrain, AyatollahSheikh Isa Qassim, for 252 days without a judicial order or administrativedecision. On January31, 2018, Ayatollah Sheikh Isa Qassim was transferred to the hospital after a13-day deliberate delay by the authorities, as he was scheduled for surgery onJanuary 18, 2018, therefore his rights to treatment and to freedom of movementwere violated. Meanwhile,the security authorities continued to violate freedom of religion and belief bybanning Friday prayers at Duraz for 4 times in January, bringing the number to81 preventions since 2016. In addition, 200Bahraini citizens have been accused or arrested in the Public Prosecution andpresented to the Bahraini judiciary for reasons relating to freedom ofexpression and peaceful assembly. 342 mediamaterials and messages that incite or help to incite hatred against humanrights defenders, political activists and Bahraini citizens were observedinJanuary. Those materials are divided into 89 media articles published in theofficial press and 253 materials published on social media by users thatinclude official and media figures, such as Assistant Undersecretary forInformation and Follow-up at the Prime Minister's Court, Ibrahim Al-Dosari,Ministry of Information Affairs’ adviser, Sawsan Al-Shaer, former MP MohammedKhaled, and journalists Faisal Al-Sheikh, Farid Hassan, Mona Mutawa and SaeedAl-Hamad. 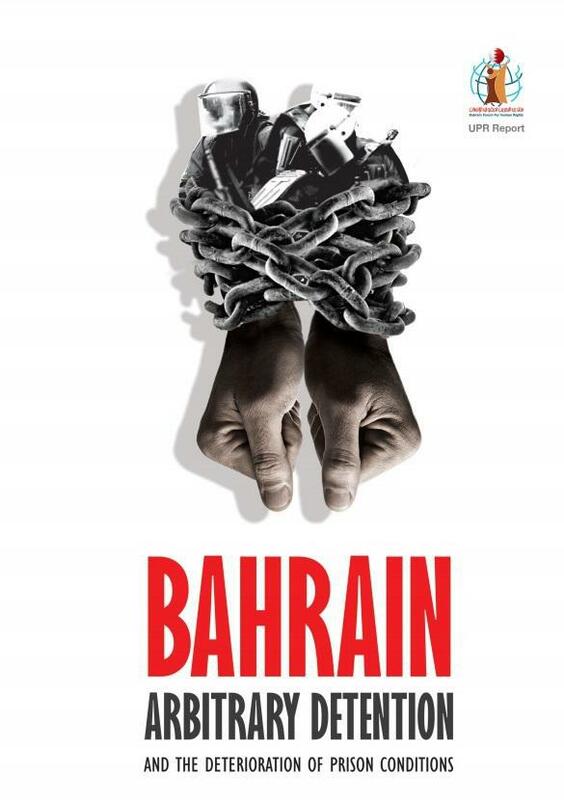 The mediamaterials inciting hatred published in local press are as follows: 18 articlesin the Bahraini Al-Ayam newspaper, 25 articles in Akhbar Al-Khaleej newspaper, 13articles in the Bahraini Al-Bilad newspaper, and 33 articles in the BahrainiAl-Watan newspaper. 18 cases oftorture and ill-treatment, which climaxed on January 14, 2018, were observed.The cases include four women and eight children – one of them an infant – who weresubjected to ill-treatment while attempting to enter the sieged area of Duraz. Inaddition, three children from Buri were also subjected to ill-treatment. Thedetained child, Sayed Hadi Ali Ne'ma from Iskan Aali and detainee Ammar AbdulGhani from Al-Daih were subjected to torture. Moreover, the right to treatmentand health care of Hasan Mushaima, Secretary General of the Movement for CivilLiberties and Democracy (HAQ), was violated. Moreover, 2 cases of destruction of property were observed onJanuary 24 and January 27, 2018. Also, 17 cases of enforced disappearance ofBahraini citizens were observed, including Ali Hussein Jassem who disappearedfor 45 days, Salman Ismail who disappeared for 40 days, Hussain Humaid Madanwho disappeared for 28 days, Mustafa Bahr who disappeared for 27 days, AbbasRahma who disappeared for 20 days and Mansour Al-Dulabi who disappeared for 20days.The cases of enforced disappearances were regionally distributed as follows:10 cases from Duraz, 3 cases from Nuwaidrat, and 1 case from each of Manama,Abu Saiba, Bilad Al-Qadeem, and Barbar. In addition,77 Bahraini citizens were handed arbitrary sentences, whichclimaxed on the 24th and 29th of January, 2018, amountingto 24 cases. The total arbitrary sentences amounted to the following: 679 years of imprisonment, 3 years of imprisonment suspended forone year term, total fines of US $268,000, 39 sentences of revoking nationalities, and 10 sentences of deportingcitizens whose nationalities were revoked, four of them were deported before January1, 2018. In addition, the death sentence against Maher Al-Khabaz was upheld,even though four UN experts issued a report saying that he was subjected to tortureand ill-treatment. 2 death sentences were issued against Ali Al-Arab and AhmadAl- Mullali. Also, amongthose who were arbitraily imprisoned are 4 women. The trial hearings,which violate the freedom of political action of Bahraini opposition leaderSheikh Ali Salman, as well as two former MPs of the Al-Wefaq parliamentarybloc, Sheikh Hassan Sultan and Ali Al-Aswad, continued.The fourth hearing washeld on January 4, 2018 and the fifth hearing on January 25, 2018. In the fifthhearing, Sheikh Ali Salman emphasizedthat the audio recordings which were usedas indictments for the charge of spying for Qatar are cut in a way thatdistorted their contents. Appeals hearingsat the military judiciary for 17 civilians and one soldiercontinued to be held,in which civilian victims were tortured and ill-treated. Three appeals hearingswere held on January 10, 14 and 31, 2018, and the case was reserved until February21, 2018 without investigating the torture complaints which include 11violations: torture by electric shock, enforced disappearance, sleep andbathing deprivation, severe beatings and solitary confinement. On December 25, 2017,the military court sentenced five civilians and one soldier to death in thiscase, including human rights activist and head of Liberties and Human RightsDepartment at Al-Wefaq Society, Mohammed Al-Motaghawi, and the personal escortof Sheikh Isa Qassim, communications engineer Sayed Alawi Hussein.